Be the place where teachers and students come to learn. Is your institution known for research on sea turtles? Or for being the best place to learn about galaxies? Do you have a special curriculum for climate change that you would like everyone to know about? 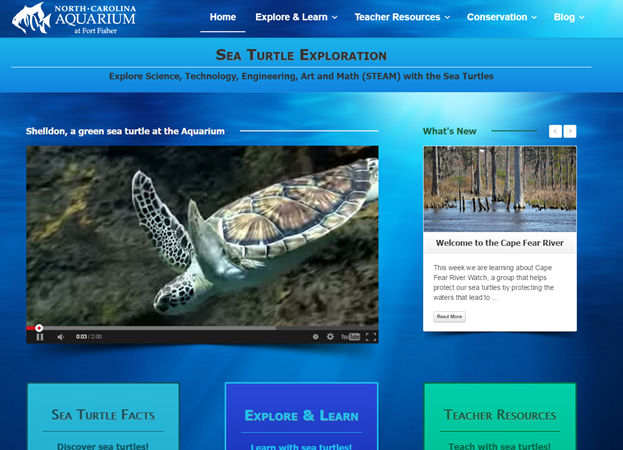 Or maybe you want to increase the resources teachers can find on your website. Educational offerings are a great way to bring teachers and students to your website and then to your institution. Here's an example of what we can do. built for the North Carolina Aquarium at Fort Fisher. Copyright 2019 E-Learning Systems, Inc. All rights reserved.